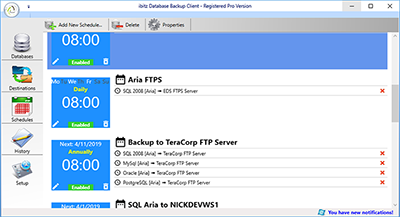 With ibitz database backup solution, you can complete an Azure Sql database backup with confidence. 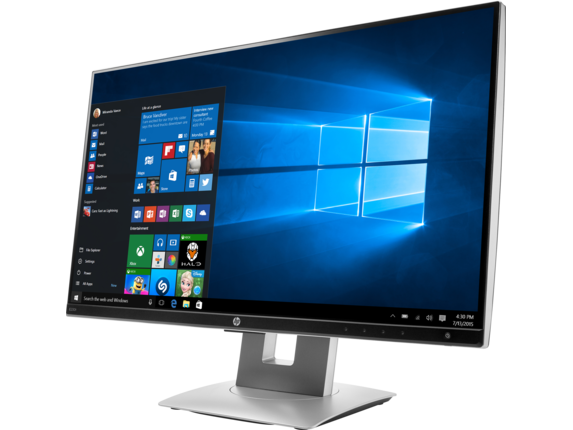 Our system is Windows based and works on Windows 7 to 10 and servers 2008 R2 to 2016. 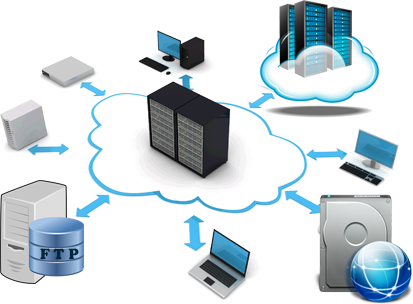 Our user-friendly design and interface make it easy to navigate effectively and without complications. 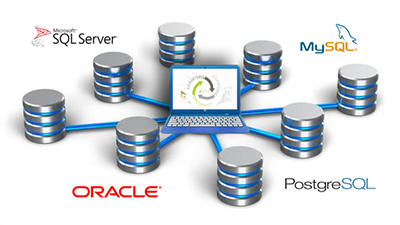 Back up multiple databases with ibitz. 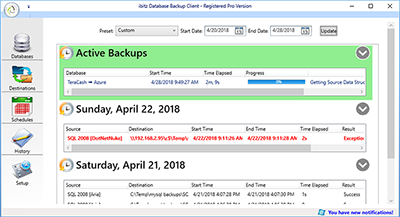 For a limited time, you can purchase ibitz Pro for just $29.99 to backup Mysql database on Windows software- and get your first database backed up in less than a minute. 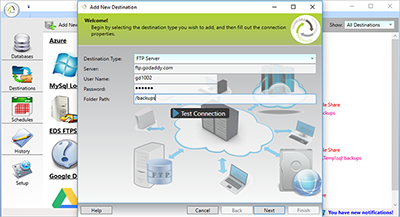 All databases and destinations are supported by ibitz- and you can get free upgrades for one year. 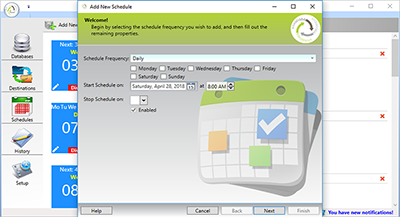 Download a trial and enjoy ibitz for 14 days. 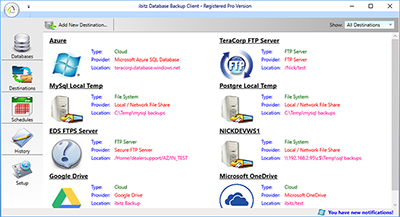 If you’re wondering how to backup a PostgreSQL database, ibitz is the answer. 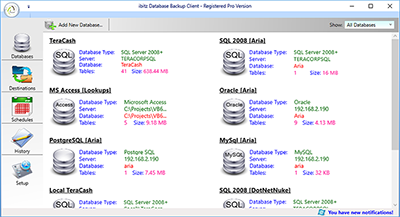 ibitz supports all databases and destinations- you can even backup multiple databases, including SQL, MySql, Oracle, PostgreSQL, Microsoft Access, and SQLite. 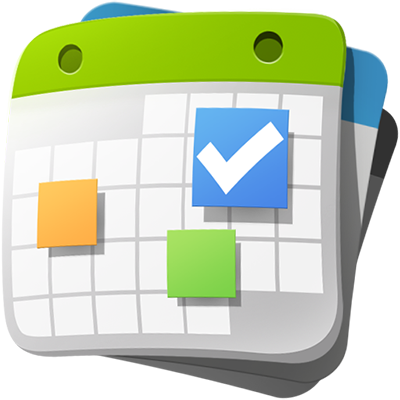 Try ibitz for 14 days at no cost to you whatsoever just by downloading the trial. 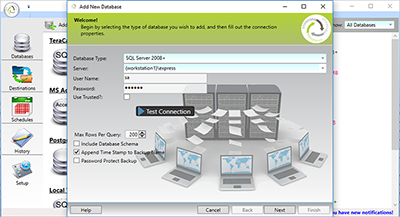 For just $29.99, you can download ibitz MySQL database backups software or try it for free for 14 days to compare with your current software. We’re so sure you’re going to love ibitz, we’ll let you download the fully functional download to try for two full weeks. See more about ibitz features on our website.